The Old Vic, a London theater that Kevin Spacey ran as artistic director for more than a decade, released a statement on Tuesday saying it was “deeply dismayed” by the allegations of sexual misconduct recently made against the actor. “The Old Vic would like to respond to recent media reports by making it clear that we are deeply dismayed to hear the allegations levied against Kevin Spacey, who was Artistic Director from 2004-2015,” the theater said in a statement posted to its website. The statement comes a day after The Old Vic was forced to defend itself by a claim from Royal Court Theatre’s Victoria Featherstone that “people had concerns” about Spacey during his time as artistic director. 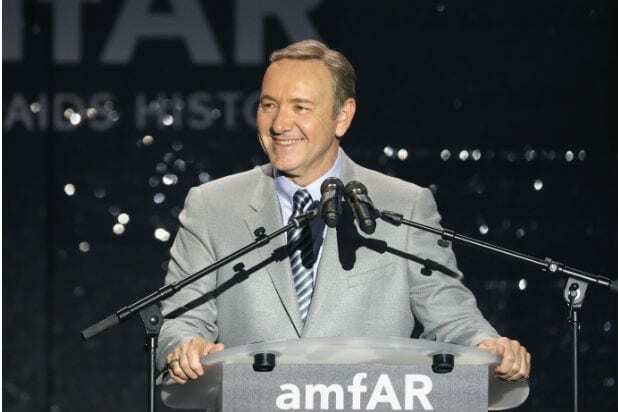 “During Kevin Spacey’s tenure as artistic director no complaints were made against him. No complaints have been made since he left,” an Old Vic spokesperson told the Evening Standard. On Sunday, “Star Trek: Discovery” star and Broadway veteran Anthony Rapp said Spacey tried to “seduce” him three decades ago, when Rapp was 14. Spacey has apologized but said he does not remember the events in question.